The fear of travel, or otherwise called "hodophobia", is common among homebodies and adventurers alike. The only difference is that the adventurers decide to go places in spite of their fear. Our trip this year includes two sets of couples who fit in both of these categories. We decided to ask my brother and sister-in-law to join us on our trip over the pond. They have never ventured out of the country and I am so excited to have them along. We will be on seven planes and three trains. We will be lodging in five hotels and touring one museum (this will definitely change once we arrive). One carry on luggage (each) was agreed amongst all of us. I'm exchanging my big girl camera for two mirrorless cameras and one small travel sized tripod. No laptop. No photoshop. Just an iPad and an IPhone. 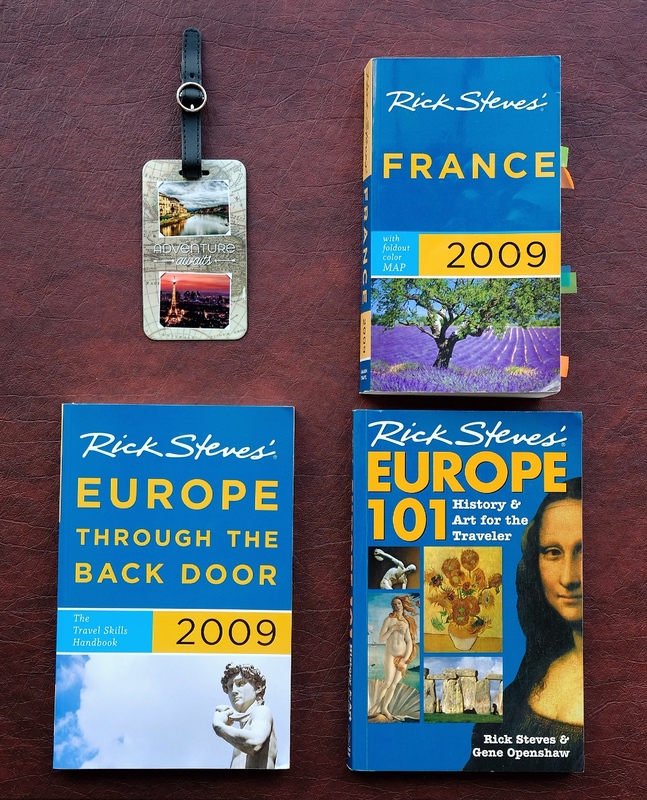 Rick Steves will be joining us, not physically, but tucked nicely amongst my iBooks. No data plan for the iPhone will be needed. Most hotels and cafés have Wi-Fi. Password please? In light of the most recent events involving Egpyt Airbus A320 and the terrorist attacks in Paris, several of my friends have questioned my "bravery" of going through with this trip. "Good luck" they say. "Aren't you afraid" they ask. At times like these, I choose to believe in Maslow's hierarchy of human needs. His second layer, extended the idea that we can gather in groups of 10, 100 or even 1000 and not feel endangered, therefore, promoting a society. We can watch a movie and a sporting event because we generally feel secure in our society and can act that way. It's a basic need. If we can't trust the "groups" that we are in, other things are less important. I choose to pick up my carryon, sling my camera across my shoulder and stand under the enormous feet of the Eiffel Tower. Here I will pause and believe that I AM safe.